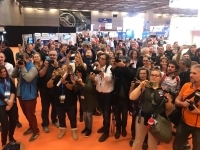 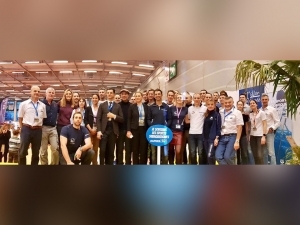 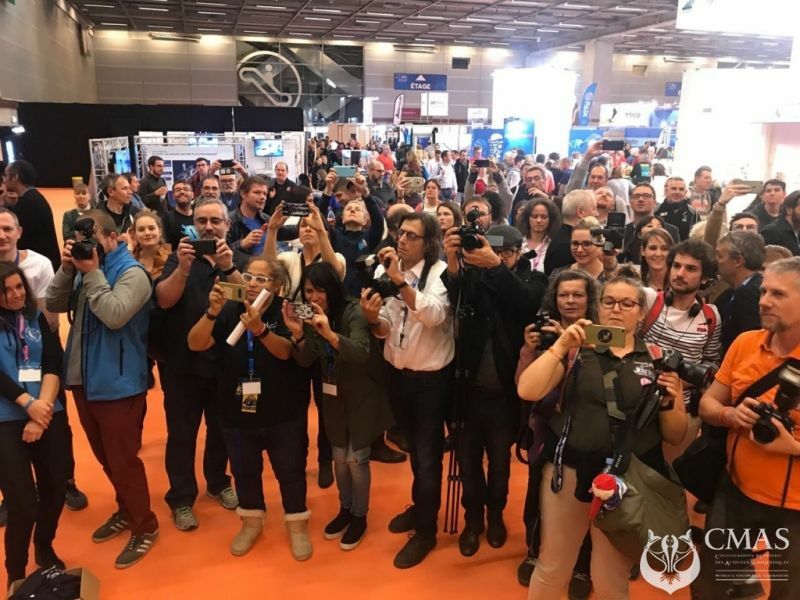 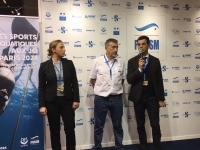 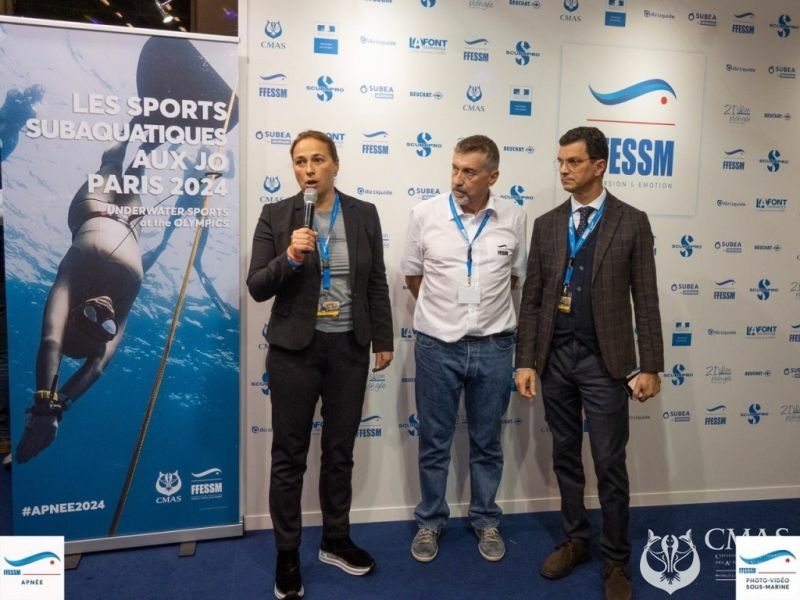 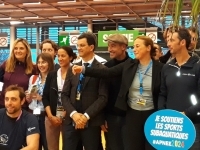 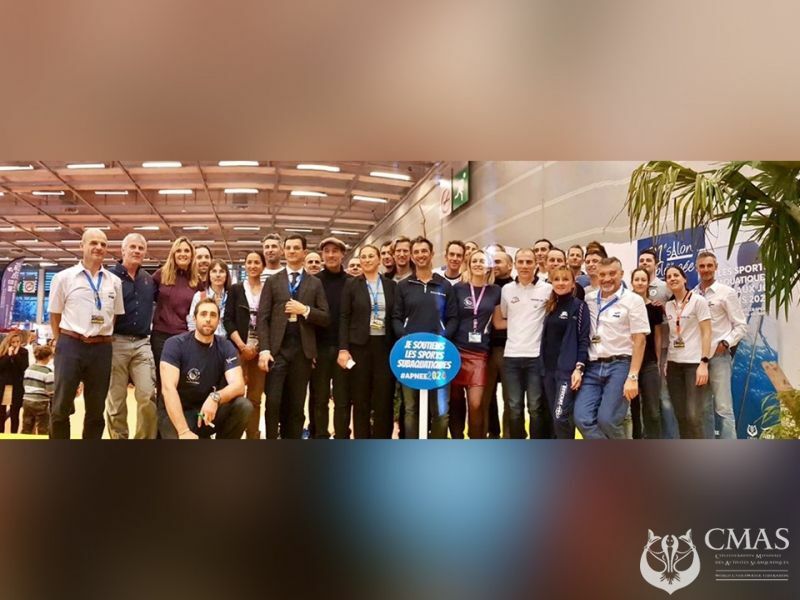 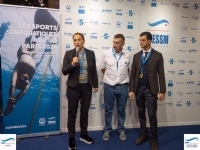 CMAS was present in the Paris Dive Show 2019 and participated to promoting freediving as an Olympic sport for the Paris Olympics 2024. In the presence of the greatest champions: Alice Modolo, Guillaume Néry, Umberto Pelizzari, Frolla ..., of "The Big Blue" star Jean-Marc Barr and the big feediving community. 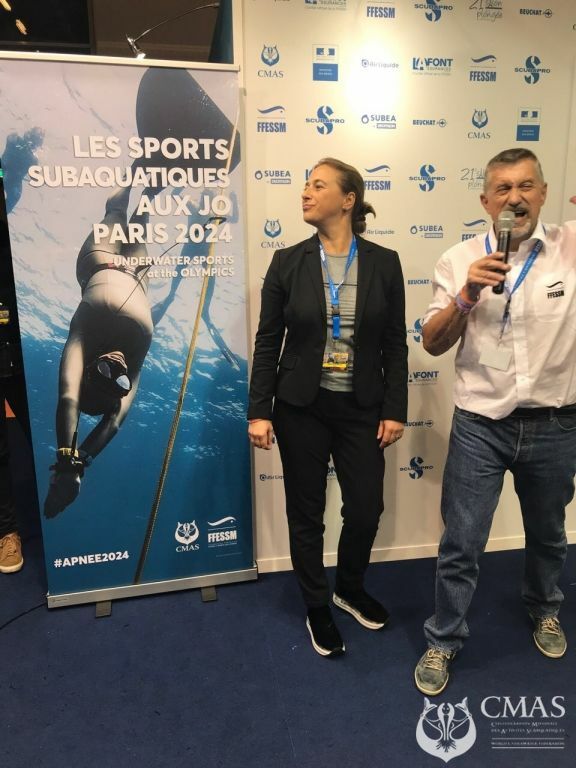 Free divers on the big stage around great champions and personalities from the world of apnea.